Elgin, Cannon & Associates has two partners and three associate lawyers. 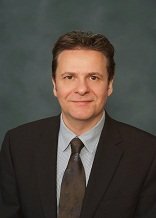 Christopher Elgin has been a member of the British Columbia bar since January of 1988. He worked for the Immigration and Refugee Board as a legal advisor to the Board members for over three years and in 1993 he opened his own immigration law practice. In 1995, he joined forces with Douglas Cannon, another immigration lawyer, and Elgin, Cannon & Associates was born. Douglas decided to focus on Immigration and Refugee law because it was rewarding. He has now been practicing in this area in Vancouver for more than 20 years. He is passionate about refugee and detention issues but has significant experience and interest in all areas of immigration law. Douglas can often be found sharing his skills and experience with community groups, at legal conferences, and is often called upon for media commentary and analysis. Fritz Gaerdes is a dual qualified lawyer (Canada and South Africa). He was admitted to the British Columbia bar in August 2008, and as an attorney of the High Court of South Africa in December 2000. Fritz practices administrative law, employment law and immigration law. His immigration law practice focuses on judicial review of refused immigration applications in the Federal Court, family sponsorship and residency obligation appeals to the Immigration and Refugee Appeal Board, medical and criminal inadmissibility matters, Family Class and In-Canada spousal sponsorship applications, applications for permanent resident status under the Self-Employed Persons Class and applications for permanent resident status based on humanitarian and compassionate grounds. Fritz’s administrative and employment law practices are litigation based. 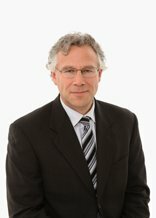 He regularly provides advice and representation to clients on a range of employment and administrative law matters, including wrongful dismissal claims, human rights complaints, judicial review and injunction applications, professional regulatory and discipline issues, enforcement of employer confidentiality agreements and workplace use of social media policies, Canadian Forces grievance and medical release proceedings, bullying and harassment complaints and access to information matters. Fritz also advises employers and employees on Labour Market Impact Assessments and work permit applications. Fritz has represented clients before all levels of Courts in British Columbia, the Supreme Court of Canada, the Federal Court and Federal Court of Appeal as well as before many administrative tribunals, including the BC Human Rights Tribunal, the Canadian Human Rights Commission, the Immigration and Refugee Board of Canada, WorkSafeBC and the Transportation Appeal Tribunal of Canada. Before joining Elgin, Cannon & Associates in March 2013, Fritz worked as a litigation associate at one of the leading regional law firms in Vancouver, where he practiced Maritime law, Labour and Employment and Business Immigration. Before moving to Canada in 2007, Fritz worked as a litigation lawyer for Lawyers for Human Rights, a non-governmental human rights organization in South Africa. In that capacity Fritz participated in many public interest cases, including the first case in which South Africa’s Constitutional Court considered whether refugee status constituted a constitutionally protected ground of non-discrimination, and the first case in which a South African Court recognized that unaccompanied foreign children were entitled to legal representation at State expense. Fritz also acted as counsel in the case that removed the statutory exclusion of disabled refugees in South Africa from receiving government assistance benefits. In 2012, Raha completed her Master of Law (LL.M) at the University of British Columbia, Faculty of Law, after having completed her law degree from University of Shahid Beheshti in Iran. With legal education and background from top universities in both Canada and Iran, she received her Certificate of Qualification from the Federation of Law Society of Canada. She articled with a boutique family firm in West Vancouver in 2016. She practices in the fields of immigration and family law. Raha is focused and thorough and approaches every case with a positive view and determination to find the best solution for the client. Raha has volunteered with West Coast Leaf, Access Pro Bono and Immigration Services Society of BC. She is fluent in Farsi. In her free time, during the summer, she enjoys playing tennis and hiking in BC’s wilderness. In BC’s beautiful winter, she loves to go snowboarding. Tien graduated from Bond University in the Gold Coast, Australia, with a Juris Doctor of law in 2011. In 2012, he articled with Phil Rankin. In 2013, he became an associate at Rankin and Bond where he practiced exclusively in immigration and criminal law. In 2017, he joined Elgin, Cannon and Associates. Currently, Tien focuses on immigration enforcement issues, inadmissibility issues, appeals to the Immigration Appeal Division and refugee law.